at secondary and higher secondary level. We celebrate differences by respecting every individual and various cultures to make our social fabric richer. With our endeavour to make each and every TISTian a better human being, values and ethics get prime importance at our school. We want our students to imbibe and stay rooted to the Indian culture system. The entire team at TIST believes in integrity, adaptability, and proactivity, and is committed to providing the best to its students. 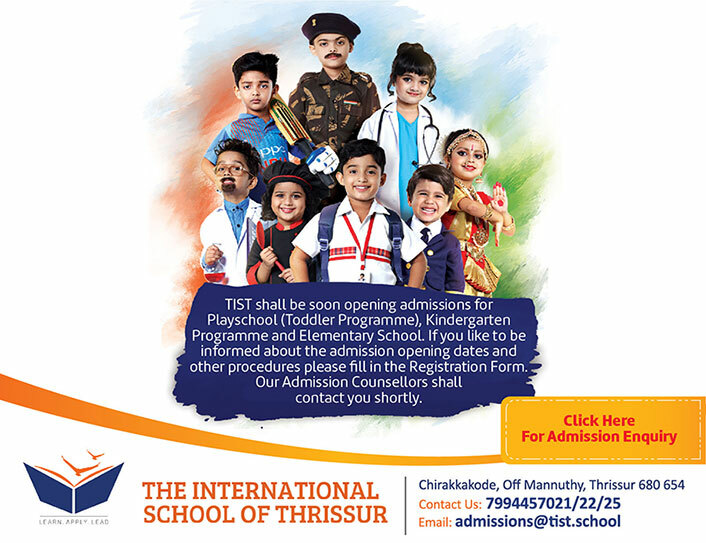 At TIST, our mission is to nurture our young minds in the best way possible to make them responsible citizens of future. Following principles help us in achieving the goal. Our ethos stems from the belief that every child is different and no two learners are alike. They vary in their physiological, psycho-social and cognitive make up. They learn in different ways, and at different paces. As an inclusive school in Thrissur, it is our task to meet this challenge. We place great importance on creating opportunities for our students to learn and be assessed in varied ways. Our endeavor is to prepare our students to live and work in modern societies with its ever-evolving challenges and choices. 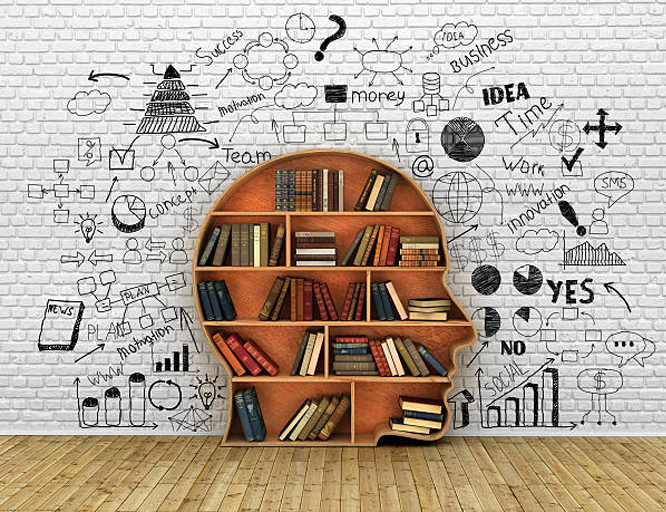 Some of the skills we look to develop include Critical Thinking, Time Management, Emotional Quotient, Behavioral Balance and Communication Skills. At TIST, we look at development from the point of view of the overall well-being of our students through Physical, Social or Health Education, and address their age-specific interests and concerns. Imbibing entrepreneurship skills allows a child to think outside the box, instills confidence and nurtures unconventional skill sets. It prepares them for the future when they will enter the economy and choose a professional career of their choice. The skills we impart through our education include problem-solving; team-building and transversal competences – such as learning to learn, social and civic competence, and cultural awareness. The world today needs more cultured, sensitive and responsible citizens than ever before. As a school, our connect with the society and our roots runs deep. We strive to make our students a global citizen while ensuring they stay strongly rooted to their local values and culture. We want them to find their identity and purpose in life by connecting with the community & our environment, and imbibe humanitarian values such as compassion and peace. In today’s global village, knowing just one or two languages is never enough. When introduced at an early age, students have the ability to pick up the lingual skills faster and more eﬃciently. Which is why the school teaches English as the First Language, Hindi as the Second Language, Malayalam as the Third Language. Apart from this, students also get the options of learning foreign languages. The school has developed an extremely balanced assessment policy which looks into various skills of a student apart from writing. The assessments are conducted on an ongoing basis using various tools and techniques without stressing the student. We conduct Parent Orientation Programme to make them aware of our ongoing assessment policy and also to ensure that the child is learning without getting burdened by exams and marks/grades all the time. Our ethos stems from the belief that every child is different and no two learners are alike. They vary in their physiological, psycho-social and cognitive make up. They learn in different ways, and at different paces. As an inclusive school, it is our task to meet this challenge. We place great importance on creating opportunities for our students to learn and be assessed in varied ways. Our endeavour is to prepare our students to live and work in modern societies with its ever-evolving challenges and choices. Some of the skills we look to develop include Critical Thinking, Time Management, Emotional Quotient, Behavioural Balance and Communication Skills.At TIST, we look at development from the point of view of the overall well-being of our students through Physical, Social or Health Education, and address their age-specific interests and concerns. A tech-driven world means more tech-savvy children. 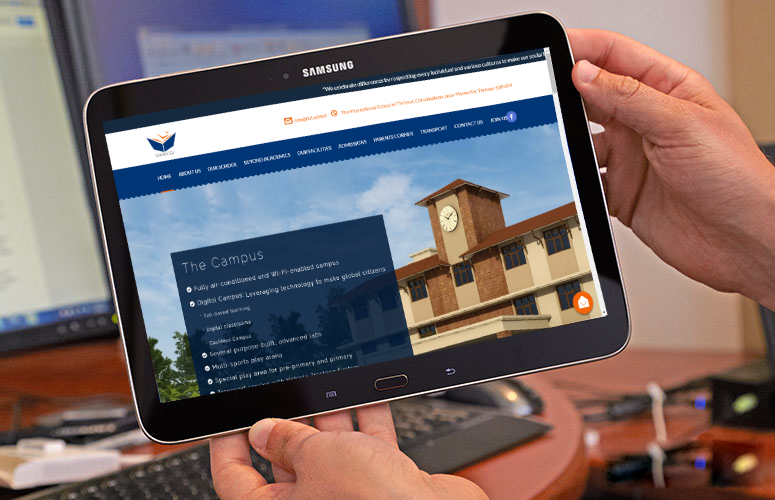 Our students are equipped with a tablet, containing the lessons for all the subjects. 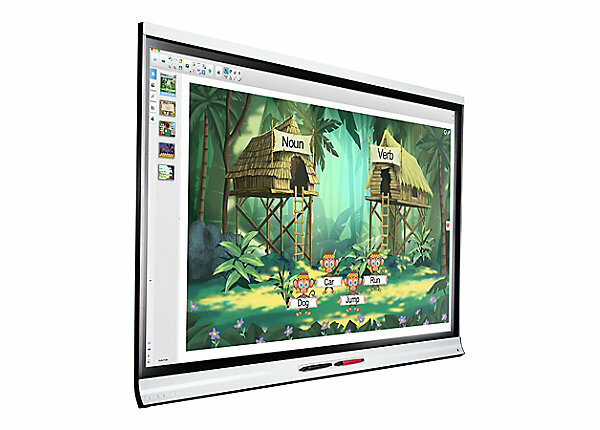 Every classroom in our school is equipped with state-of-the-art digital boards. These SMART classrooms are highly interactive in nature and allow the children to understand a concept or lesson better. All classes by the teachers are recorded and available for revision or reference at any given me. They can also access it at home through their tablets. All students are given RFID cards, which is tagged along with their ID cards for any store or canteen usage within the campus. 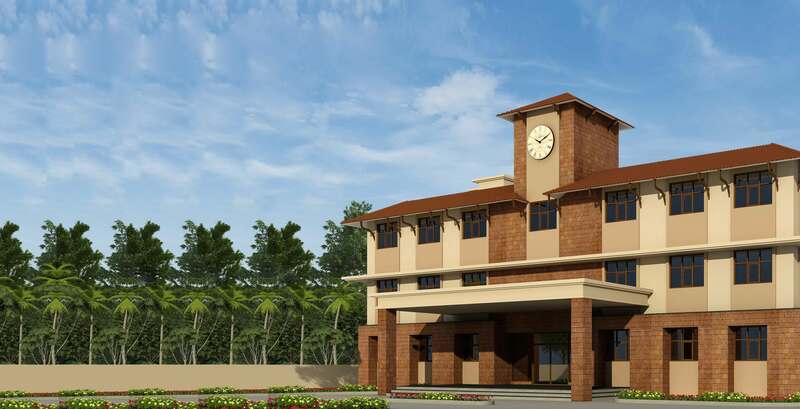 The best-in-class infrastructure comprising fully air-conditioned campus and school buses, which are equipped and secured with CCTV cameras and other security systems. All buses are also fitted with Vehicle Tracking System to allow the parents to track the bus realtime. Our support staﬀ is verified and hired after a thorough background check. 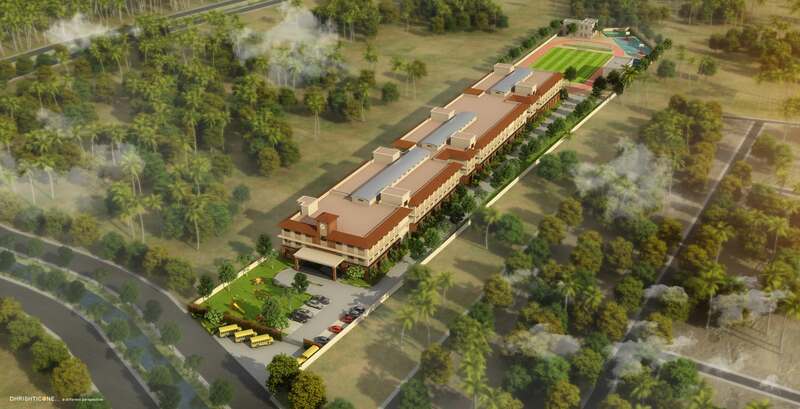 The entire school has undergone all the requisite safety checks and is well equipped to deal with various crises. Other than this, regular mock drills & sessions are conducted on dealing with natural calamities and other disasters. We believe that, if every school takes responsibility for its own improvement and does its bit for the environment, it would go a long way in making the world a better place. By following sustainable practices, we lead by example and set the lead for students to follow. We have sufficient windows and openings to ensure that our school is well ventilated and gets enough sunlight to minimise the need for artificial lighting. Energy conservation is an important step in that direction. Our school is equipped with LED lighting and air-conditioning timetable to ensure the efficient use of power. We have also put in place several water conservation and waste-paper management initiatives. We also have a system to collect rain water and harvest it.